Nocella Roofing is a distinctive business and as such needed a distinctive, yet effective, design. 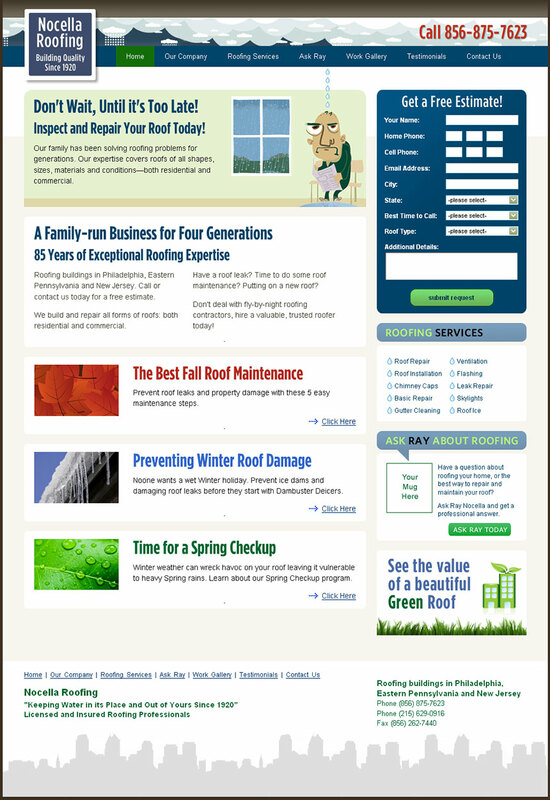 The solution combined a bit of personal character with an emphasis on lead generation. The site continues to provide exceptional ROI, generating new business leads well in excess of the original cost on the project year over year.